The Audi driverless car climbs the Pikes Peak Highway. Americans should demand steering wheels. There’s a great scene in the movie The Right Stuff where the original Mercury astronauts are checking out the capsule for their first trips to space. They’re horrified to discover that the German scientists in charge of the program see the astronauts as nothing more than living props. There is no window, the scientists explain. There’s no emergency hatch or even controls for the astronauts to use. It’s all automated. “We want a window,” the astronauts demand. The white-frocked experts reluctantly agree to give the astronauts a window and piloting controls because they know the American people would hate to see the nation’s greatest pilots treated like lab monkeys with no say in their fate. I can’t help but wonder whether in 20 years the American people will have the right stuff to demand a steering wheel in their cars. #ad#If you haven’t heard, we — and by “we,” I mean the guys in the lab coats in Detroit and Silicon Valley — are very close to having a completely automated automobile ready for the market. Driverless cars have been tested in numerous conditions. Audi even sent a four-wheeled robot to the top of Pikes Peak. Volvo has one that can let the “driver” read the newspaper on the way to work, even in busy city traffic. After a successful lobbying campaign by Google (which has logged thousands of hours with its self-driving cars), Nevada recently passed a sweeping robot-friendly law. According to press reports, robots are already far safer than human drivers. Reaction times are better. Radar and GPS technology give the robots a 360-degree view. Robots don’t get drowsy, and they don’t suddenly cross the yellow line when they spill a hot latte in their laps. But let’s assume the technology will — as technology invariably does — get much, much better, and Americans will be able to sit back and play with their iPad 7s as their cars take them to work. What next? Some consequences are pretty obvious and desirable. Traffic fatalities will plummet. In 2010, there were 32,885 U.S. traffic fatalities — the lowest total since 1949, but still disturbingly high. Computerized driving could remedy that. Automated cars could also be an enormous boon to the physically disabled. Insurance rates would crater, traffic would be more efficient, speeding tickets could become a thing of the past (possibly bankrupting highwayman fiefdoms such as Washington, D.C.). And — hooray! — we could all have martinis before dinner again because an embryonic version of Skynet will be our designated driver. So far, so good. On the other hand, automated autos would undoubtedly put countless Americans who make a living driving cars, buses, and trucks out of work, at least in the short run. I’m no Luddite. Capitalism is supposed to destroy unproductive jobs to make room for productive ones. Still, in the short term, the turmoil could be brutal, economically and politically. #page#But let’s leave professional drivers out of it. Besides, truck and bus drivers do more than simply drive, and they might keep their increasingly redefined jobs for a good while longer. What I find most disturbing to contemplate is what this would mean for American liberty. Health and safety — particularly for “the children” — have become all-purpose writs for social meddling. The list of dangerous substances and activities we need to be protected from grows by the day. With the help of a media establishment that turns anecdotes into epidemics in a heartbeat, the state ceaselessly empowers itself to constrain our freedoms for what the experts tell us is for our own good. #ad#Let’s be fair: The experts aren’t always wrong, and even when they’re wrong, their arguments aren’t necessarily unreasonable given their assumptions. But if you follow the logic of mandatory seatbelts and motorcycle helmets, red-light cameras and anti-texting laws to their natural conclusion, it’s easy to imagine that some bureaucrats will want to co-author your car’s software. 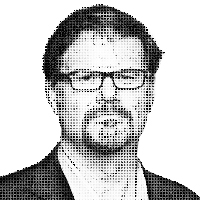 — Jonah Goldberg is editor-at-large of National Review Online, a visiting fellow at the American Enterprise Institute and the author of the forthcoming book The Tyranny of Clichés. You can write to him by e-mail at JonahsColumn@aol.com, or via Twitter @JonahNRO.